1987. Jean’s interest in capacity building began early in her career. 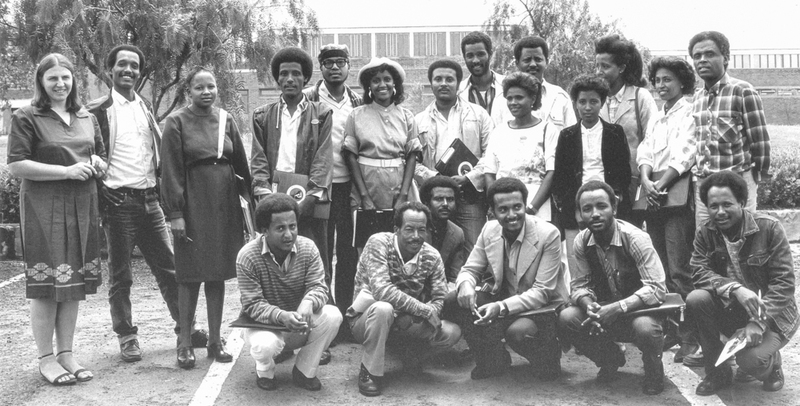 In June of 1987 she was one of the trainers for the Ethiopian Fourth Livestock Development Project Forage Seed Production Course. 1993. 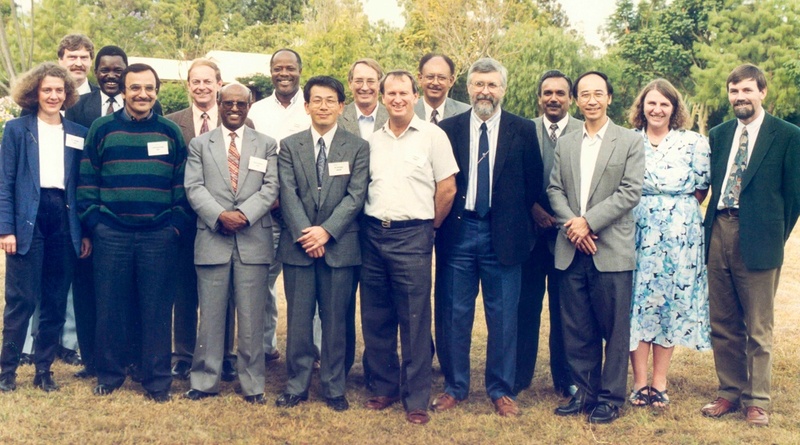 ILRI hosted the Fourth Meeting of the Inter-Center Working on Plant Genetic Resources during February 1993 at Addis Ababa, Ethiopia. Jean attended the very first inter-centre working group held at CIMMYT in 1987 and only missed one (the 1989 meeting held in IRRI) in all the years that the IGWG-GR was active. She served on the executive committee for many years and chaired the ICWG-GR from 2007 to 2010. 2007. In the active genebank on the ILRI Addis Ababa campus, Jean selects seed that will be stored at the Svalbard Global Seed Vault. 2008. Jean was on the International Advisory Council for the Svalbard Global Seed Vault during its first five years and served as vice chair to support Cary Fowler as chair. 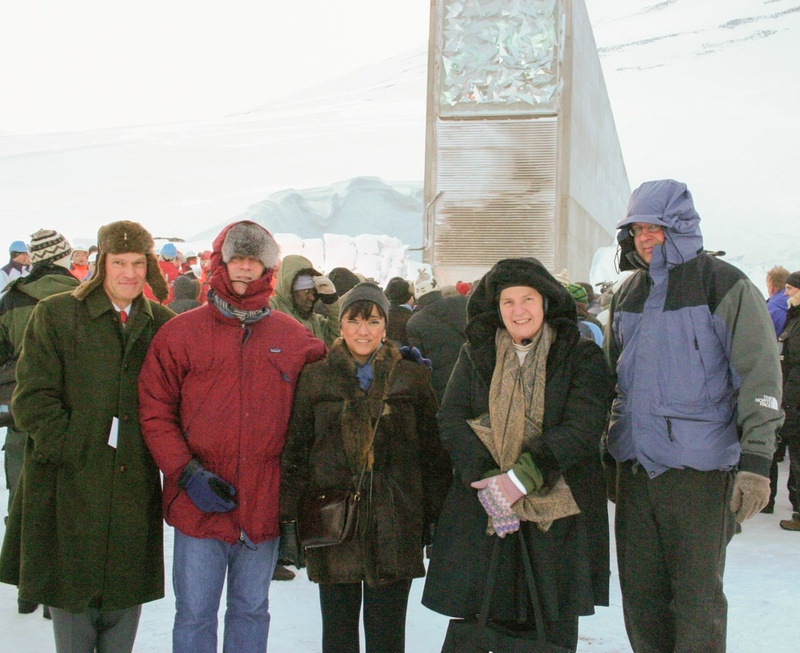 She attended the opening of the Seed Vault in February 2008 and is pictured with Daniel Debouck (CIAT), Ken Street (ICARDA), Eugenia Skovmann (wife of late Bent Skovmann the former genebank manager at CIMMYT), Jean and Tom Payne (CIMMYT). 2009. 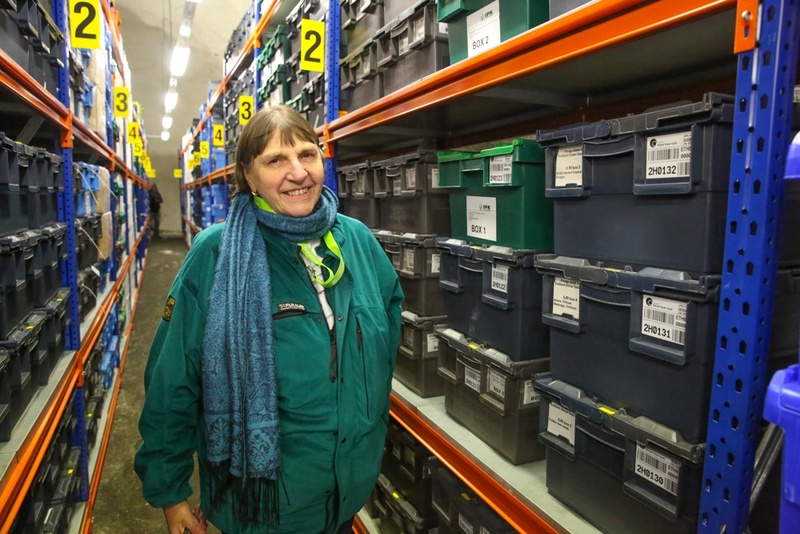 Jean served on the International Advisory Council of the Svalbard Global Seed Vault for five years. 2010. Jean received a long service award at the ILRI-Addis Christmas party on the 21 January 2010 (Photo: Kinde Engida/ILRI). 2010. 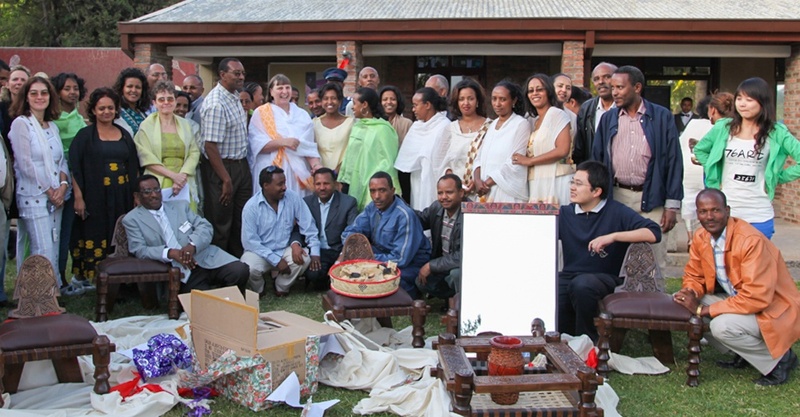 Jean was farewelled by her ILRI colleagues in December 2010. Little did they know that she should soon return! (Photo: Apollo Habtamu/ILRI). 2010. Farewell to Jean Hanson - cutting 'Defo Dabo' (traditional Ethiopian bread) A tribute to Jean Hanson – ILRI Addis campus, 17 December 2010. (Photo: Apollo Habtamu/ILRI). 2018. 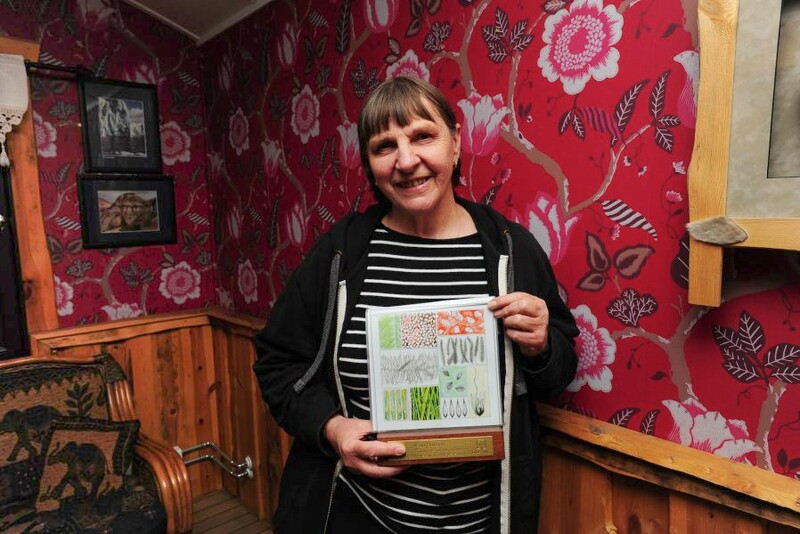 Jean was recognised in 2018 and presented with the Crop Trust's Legacy Award at a ceremony in Svalbard. In the early days of her career, Jean Hanson often wondered what the future would hold and where her career path would take her. 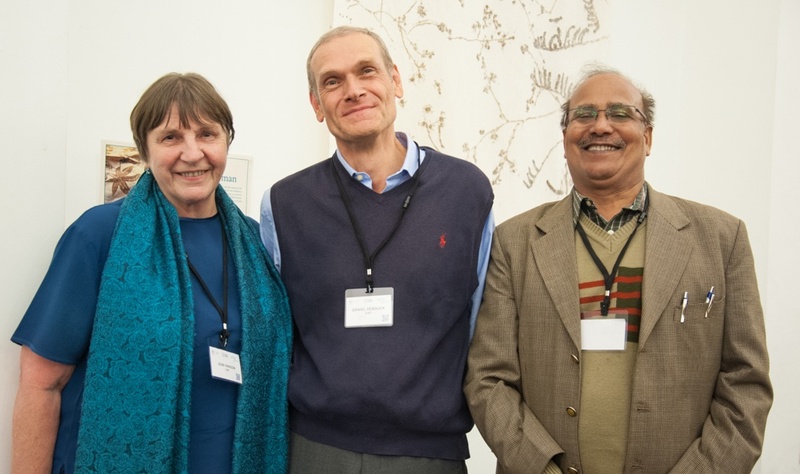 Jean, the retiring leader of the Forage Diversity Project at the International Livestock Research Institute (ILRI), wondered out loud to her mentor, the renowned University of Birmingham botanist Professor Jack Hawkes. “Jack replied that it was better not to know so you could be open to new ideas and challenges and make the most of what life has to offer,” Jean said. She followed the sage advice of her mentor throughout her career and followed the opportunities that came her way. 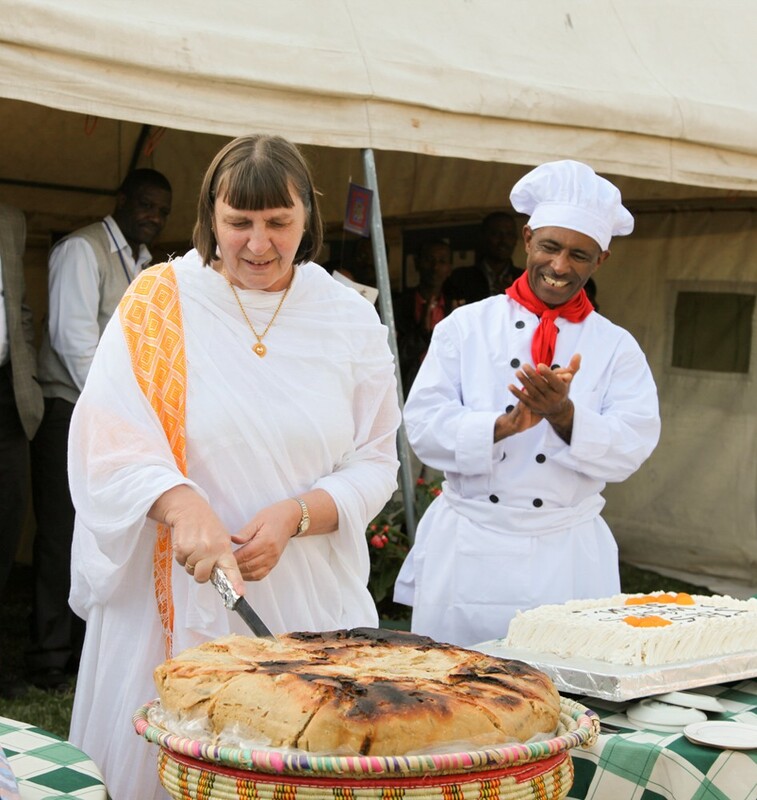 And little did she know in those early days that she would retire from ILRI not just once … but twice. Jean retired from ILRI at the end of 2010 after 24 years with the agricultural research center. It was hardly retirement for Jean, since she kept busy as a consultant. Then in 2014, ILRI asked her to return to her previous role as project leader on forage genetic resources until they recruited a new leader. That temporary position turned out to last four years. “We started to build the new genebank building and labs. That was challenging and needed continuity in staff. But it was very interesting for me, so I stayed until it was completed,” Jean said. Being part of the new construction at ILRI’s campus in Addis Ababa, Ethiopia was an unexpected, but exciting, opportunity that Jean embraced and exactly what Professor Hawkes had advised. And it turned out to be a most rewarding experience culminating a 40-year career in seed conservation and genebank management. While studying for her undergraduate degree, Jean read an article about conservation. That article inspired her to focus her career on conservation efforts and join the famous Birmingham MSc course on genetic resources conservation. Her PhD at the University of Birmingham focused on seed longevity in storage. With a newly minted PhD in hand, Jean embarked on a journey to Mexico and became a post-doctoral student with the International Maize and Wheat Improvement Center (CIMMYT) and managed the center’s maize genebank from 1976 to 1978. With her post-doc complete, Jean accepted a position as a Technical Cooperation Officer for the UK Government and conducted research on storage of recalcitrant seeds of tropical tree fruits in Indonesia. Then, between 1983 and 1985, she relocated to Rome to help the International Plant Genetic Resources Institute (now Bioversity International) with their seed conservation activities, visiting national programs in several countries in order to provide advice on seed storage and genebank management. 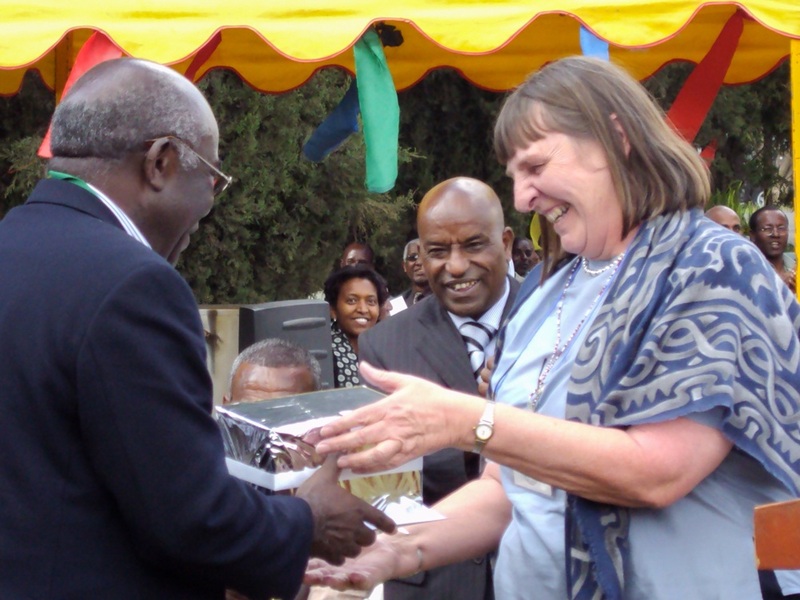 In 1986, Jean moved to Addis Ababa, Ethiopia to become the genebank manager at ILRI (which was known as the International Livestock Centre for Africa at the time). Three years later she was leading ILRI’s project on forage genetic resources and remained in that position until her first retirement in 2010. “I have stayed true to my original interests and have always worked with conservation of genetic diversity throughout my career, just on different crops in different countries,” Jean said. Jean’s scientific contributions over the last 40 years have earned her international respect and recognition among the crop conservation community. She had to work hard for that respect. When she began her career, she was working in a male-dominated environment and found it hard to make her voice heard. Committed to supporting women in science, Jean served as a mentor for the African Women in Agricultural Research and Development fellowship program, which is still supporting the development of Africa’s leading women in agricultural science. Jean believes that the vast amounts of data generated through genotyping will support more informed decision-making for users as well as the genebanks themselves. “The data is giving us a better understanding of population structure and trait distribution,” Jean said. “We can now better identify duplicates and redundant copies, and change the way we look at and manage accessions as genotypes or populations.” This, along with the introduction of DNA barcoding and Digital Object Identifiers for managing and tracking accessions, will significantly change the management of genebanks over the coming years. 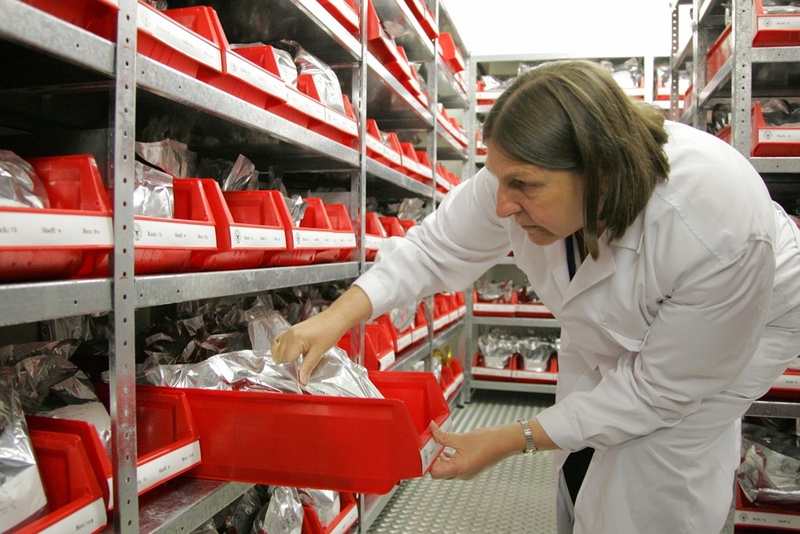 These changes have meant that genebank managers have had to develop an ever-expanding skillset. Not only do they require a strong foundation in science and exceptional organizational skills, they need to be financially shrewd, politically savvy and capable of seeing the big picture while also attending to the details. 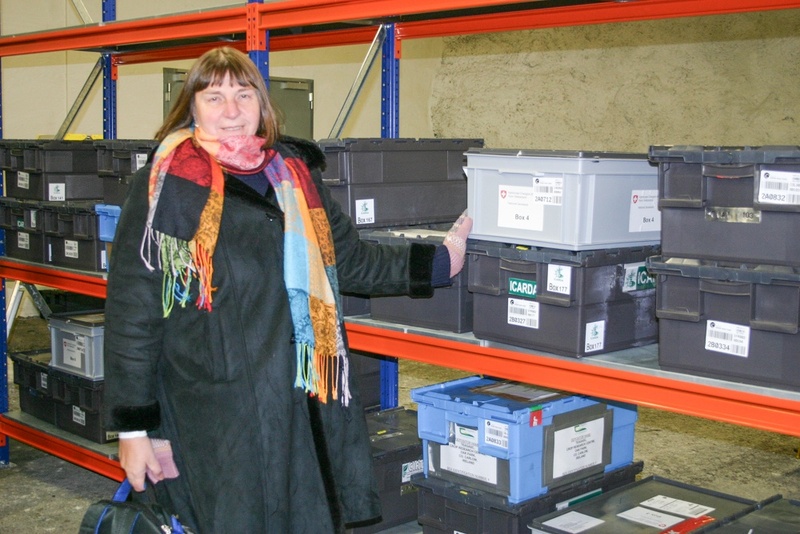 “Genebank managers need to be diplomatic, but willing to push to get things done,” Jean said. Jean feels that the sense of urgency for collecting and conserving plant genetic resources is not as strong as it was. “There are those who believe that we already have sufficient diversity in genebanks and we have conserved enough,” Jean said. “But we need to do the genotyping to see what we really have, and then collect in emergency situations.” In 2010, the Food and Agriculture Organization of the United Nations estimated that there are over seven million accessions held in 1,750 genebank facilities worldwide. “With finite resources, it does seem sensible to put effort into understanding what’s there,” Jean said. It is one thing to look back over a career and recite a list of accomplishments; it is another to be able to define your legacy. While Jean’s colleagues could no doubt provide a long list of her successes over her career, she prefers to dwell on who she leaves behind – those countless people around the world she has mentored and supported in order to help build the capacity of the next generation.